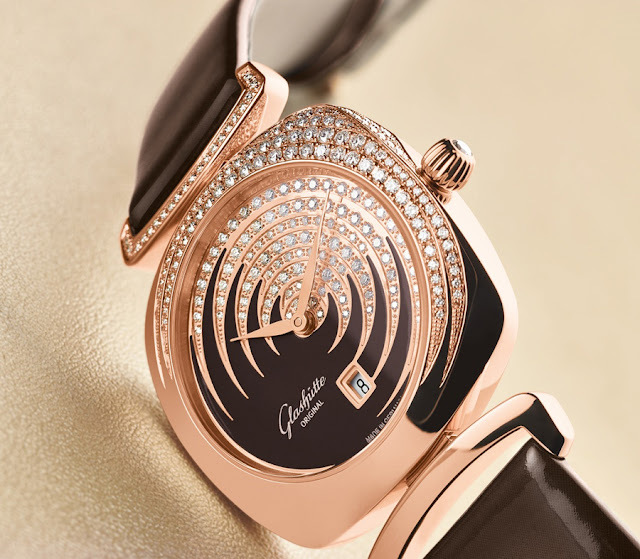 Dedicated to ladies, today we write of another Glashütte Original novelty presented at BaselWorld 2013: the new Pavonina collection. Characterised by the elegant cushion shape, this new feminine collection offers a large selection of possible combinations of case materials, dials, bracelets and straps. The 31x31 mm case is offered in three different versions: stainless steel, bi-colour combining stainless steel and red gold, and red gold. The galvanised silver or ruthenium dials can have hand-mounted cabochons or 12 diamonds to mark the hours. 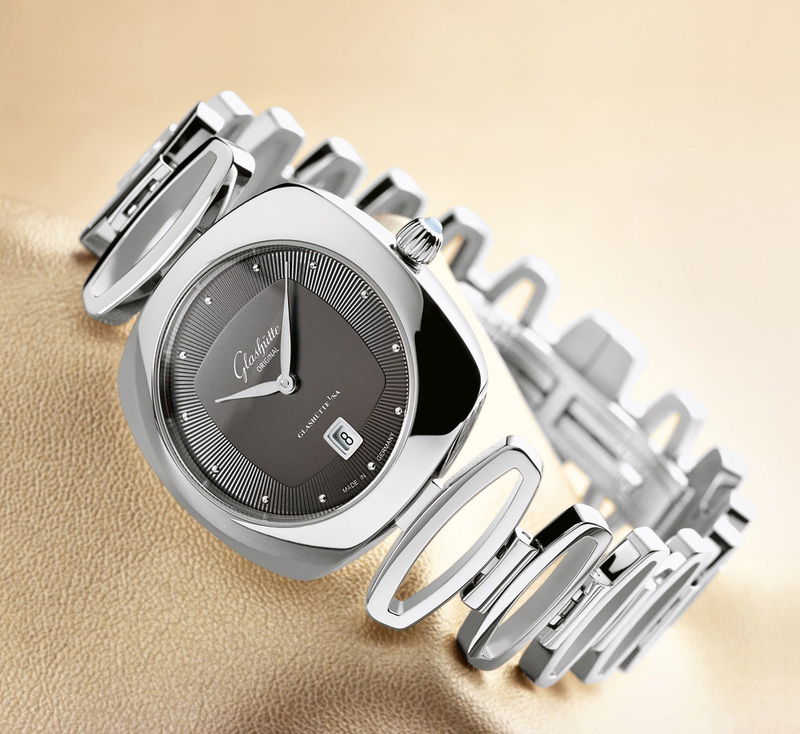 A mother of pearl dial version is also available. The highlight of the collection is the red gold model with an array of 98 diamonds, 0.38 carats in all, carefully set by hand on the dial and the case. Available with straps - satin and high-gloss leather - or a metal bracelet whose links are variations of the cushion shape of the case. 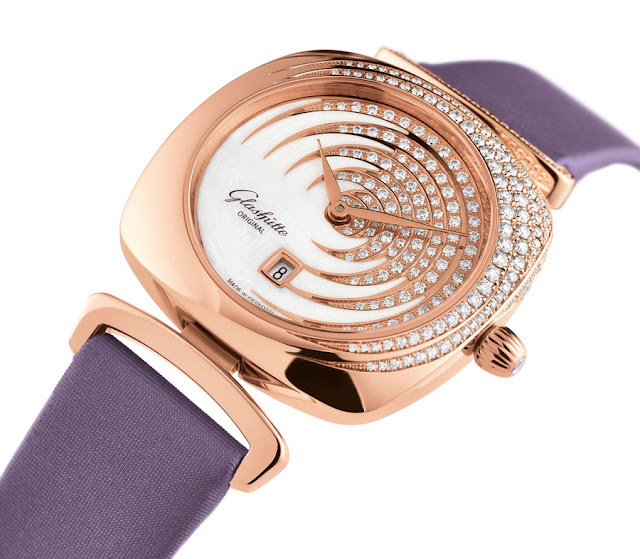 Glashütte Original applied for a patent for the flexible lugs which allows a perfectly snug fit between the watch and the wrist of the woman wearing it. The bracelet is also fitted with a quick-change system that allows the wearer to equip the timepiece with the strap. 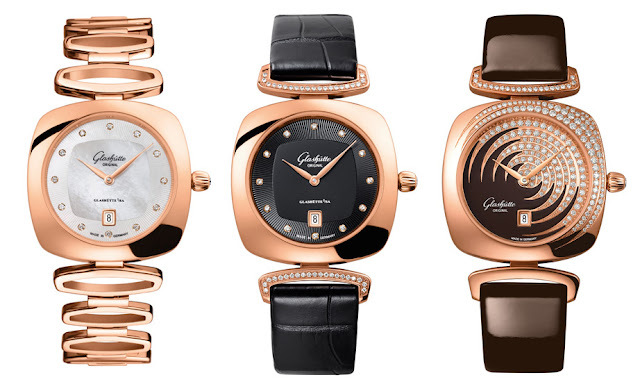 All watches in the Pavonina collection feature the Calibre 03-01 quartz movement offering magnetic protection. We would have liked the option of a mechanical movement. Dedicated to ladies, today we write of another Glashütte Original novelty presented at BaselWorld 2013: the new Pavonina collection. 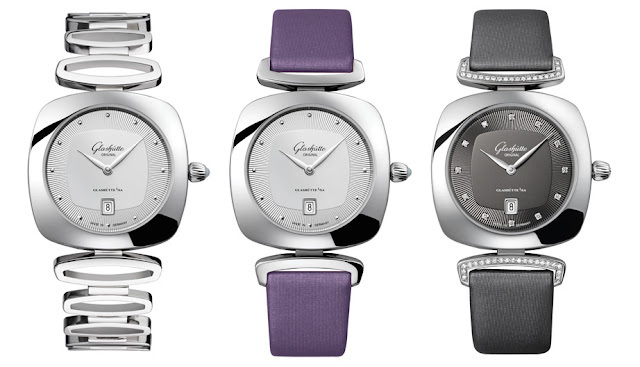 Characterised by the elegant cushion shape, this new feminine collection offers a large selection of possible combinations of case materials, dials, bracelets and straps.